While the Marvel Cinematic Universe has made a number of significant changes to the comic canon that came before it, no change has been quite as divisive as the end to Iron Man 3. The film made some significant changes to the classic Iron Man villain The Mandarin, and many fans did not take to it very well. However, the director and writer of Iron Man 3 says he originally had a very different film in mind, but it got scrapped when Marvel told him he couldn’t have a female villain, because it wouldn’t sell as many toys. Female representation in merchandise has been an ongoing area of disagreement for a long time. One side argues that the reason female action figures don’t sell is because the toy makers never produce them. The other side says that the toy makers don’t produce them because they don’t sell. Whatever the reason, Shane Black told Uproxx in a recent interview, that the state of female-centered toys was the reason his original plan for Iron Man 3 got killed off. Originally, the parts of two lead actresses, Stéphanie Szostak’ and Rebecca Hall were much larger, but that wasn’t all. There was an early draft of Iron Man 3 where we had an inkling of a problem. Which is that we had a female character who was the villain in the draft. We had finished the script, and we were given a no-holds-barred memo saying that cannot stand and we’ve changed our minds because, after consulting, we’ve decided that toy won’t sell as well if it’s a female. … So, we had to change the entire script because of toy making. While Shane Black doesn’t know who was specifically responsible for making this decision, he’s very clear to not lay the blame on current head of Marvel Studios President Kevin Feige. Back when Iron Man 3 was made, Feige did not have complete control over the theatrical side of the MCU as he does today. He had to report to Marvel CEO Ike Perlmutter. Perlmutter was outed by the Sony email hack a couple years back as being somebody who didn’t have a lot of faith in female-led superhero movies, so, rightly or wrongly, he appears to be taking a chunk of the blame here. Shane Black doesn’t go into specifics about exactly how his original draft would have played out, so it’s difficult to say how things would have been different. He does make a reference to 80s television series Remington Steele and the idea of a woman being in charge, even though it looks like a man is, so it’s possible that the idea was that Rebecca Hall’s Maya Hansen was actually meant to be the power behind the throne. Whether or not she would have turned out to be the "real" Mandarin is unknown. In recent days, Kevin Feige has made comments that the studio is most committed to building a new franchise around Black Widow, so it sounds like a blanket policy against lead women has changed. 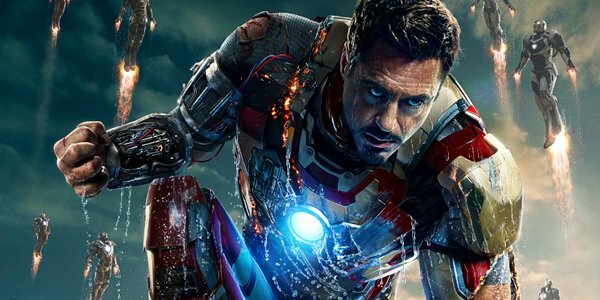 What do you think of this decision that made a major change to Iron Man 3?